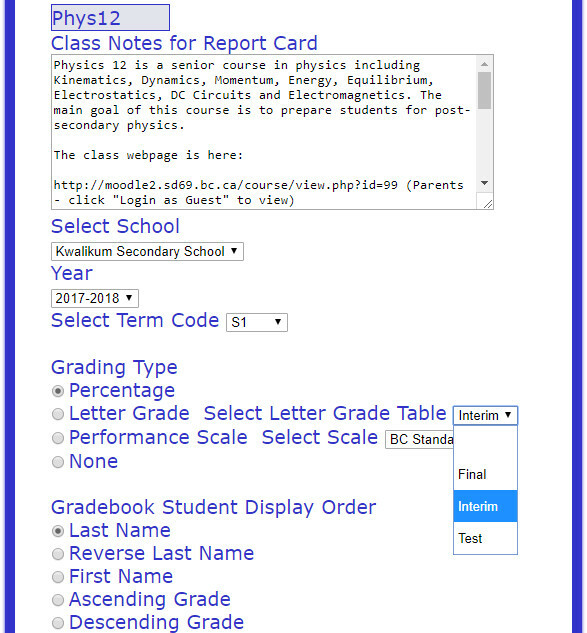 To set up your letter grade tables, use the Create/Edit Letter Grade Tables option under the Classes menu item. Then add your letter grade table. An example for British Columbia is shown below. 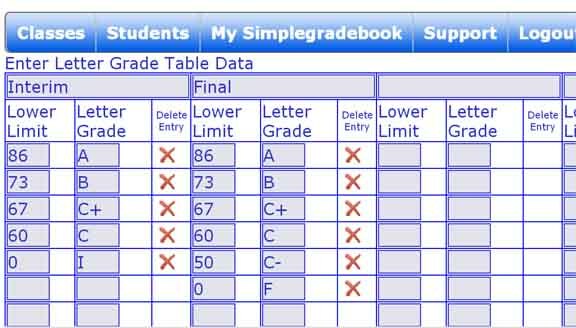 It allows the teacher to select the Interim letter grade table intially, which will give any student with a mark less than 60% an I or Incomplete grade - this is useful for warning students and parents that success in the course may not be assured. At the end of the course, the teacher selects the Final letter grade table, and students are graded according to the provincial standard for lettergrades. Note: if you are grading all your classes on performance scales, letter grade tables are not necessary.